Zion National Park has its origins in the Progressive Era, when when President Taft declared the area where Zion is now (near Springdale, UT) as Mukuntuweap National Monument to preserve Zion’s main canyon. The National Parks Service, which was created by Congress in 1916, changed the name to Zion in 1918 as the original Pauite name, meaning “straight canyon,” was unpopular. 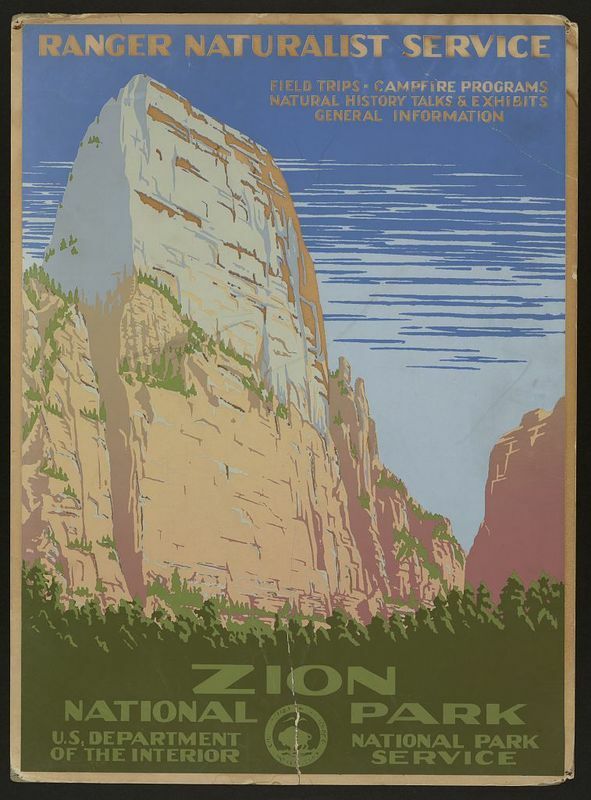 Zion, the Hebrew word for sanctuary and one that resontated with surrounding Mormon (LDS) communities, was thought a much better name to capture its beauty. Only one year later Congress changed this monument into Utah’s first national park: Zion National Park. 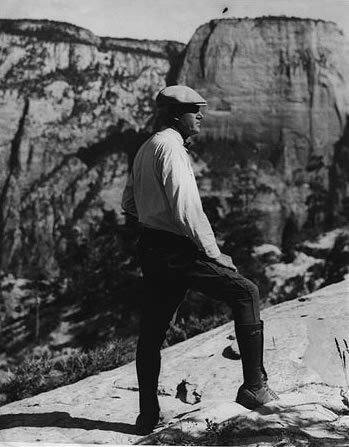 The first director of the National Parks Service, Stephen Mather, recognized that Zion’s isolated location made it hard for people to visit, so he promoted road construction through the park. One road had already been built in 1917, which went from the present day visitor’s center to the Grotto area. This, along with the very first visitor’s center, Camp Wylie, offered visitors places to plan their day in the park. One of the first projects after Zion was made a national park was the Mt. Carmel Highway and tunnels. Construction began in 1927 and was completed and open for the public a little under three years later in 1930. 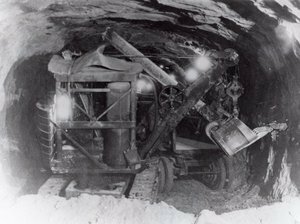 The 1.1 mile long Mr. Carmel tunnel stood firm until one of the sandstone pillars collapsed in 1958 and had to be closed a few weeks for construction. The tunnel is now electronically monitored around the clock in order to give warning of any recurrence or weaknesses. In 2012, Zion National Park was the 6th most visited national park with 2,973,607 visitors. These numbers kept growing, and in 2016 the park had 4,317,028 visitors. These visitors enjoy driving, hiking, and rappelling through Zion’s magnificent canyons. Rachel Nyfeler, Brigham Young University, “Creation and Development of Zion National Park,” Intermountain Histories, accessed April 19, 2019, https://www.intermountainhistories.org/items/show/49. Alexander, Thomas G. Utah, the Right Place: The Official Centennial History (Salt Lake City, UT: Gibbs Smith, 2003). Errick, Jennifer, from the National Parks Conservation Association website. “Park Service Releases Most-Visited National Park Data for 2012,” available at https://www.npca.org/articles/202-park-service-releases-most-visited-national-park-data-for-2012#sm.000011ic7x6e6vdwhsnztkdq370l8. National Parks Service. “Zion-Mt. 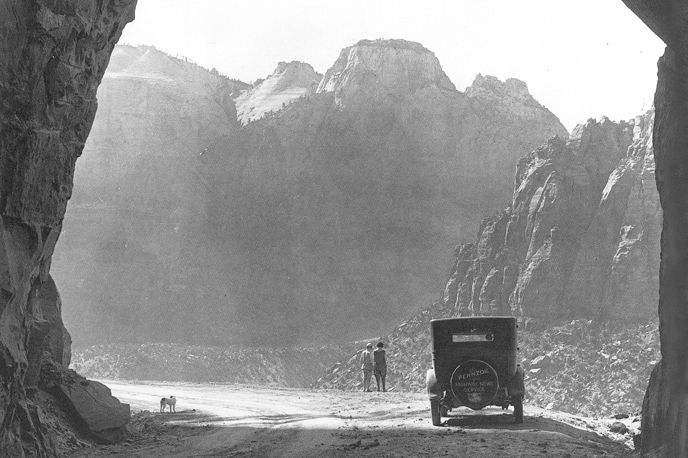 Carmel Highway and Tunnel,” available at https://www.nps.gov/zion/learn/historyculture/zmchighway.htm. National Parks Service. “Park Visitation Statistics,” available at https://www.nps.gov/zion/learn/management/park-visitation-statistics.htm. National Parks Service. “Mukuntuweap National Monument and Zion National Monument,” available at https://www.nps.gov/archeology/sites/antiquities/profileMukuntuweap.htm “Zion National Park Officially Set Apart.” Times Independent, December, 18, 1919. Available at https://newspapers.lib.utah.edu/details?id=20247689&q=zion+national+park&rows=50&sort=rel&date_tdt=%5B+1914-01-01T00%3A00%3A00Z+TO+1937-12-31T00%3A00%3A00Z+%5D#t_20247689.